Do you have pooling water after a storm or maybe you can’t get your mail in the winter because your driveway has become a skating rink? It doesn’t matter if your driveway is big, small or how it is shaped because they all share the need for proper drainage. Improper ground leveling or grading is a major culprit for standing water. This is easily solved if your project is a new construction and you are able to consider all factors of water removal before anything is set in concrete. What happens if this isn’t a new project? Many homeowners believe they can solve their water pooling issues by grading or digging a shallow trench but these are usually a temporary solution. Here’s a few things you need to know to make sure the problem is resolved. French drains are wonderful at removing moisture from over-saturated soil but there are some things to consider for it to work efficiently. The slope of the soil and position of the French drain are important so that water can slowly drain through it and away from the house. For this reason, they typically are not the best option for removing large amounts of water in a small span of time. French drains also become inundated during high rainfall conditions and become ineffective in preventing residential flooding. Roots from landscaping can displace or even damage the pipe causing the French drain to be replaced over time. What type of traffic is going over the system? Will there be heavy delivery trucks, cars, golf carts or wheelchairs moving over the channel? 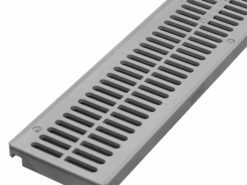 Knowing the traffic load determines how sturdy your trench drain system needs to be, including what type of grates are necessary to handle the load. Properly selecting and installing the appropriate trench drain system prevents it from having to be reinstalled later not to mention the avoiding additional expenses. How are you intending to direct your system and what size outlet is needed? It is important to know if you’re draining out the bottom or end of the system so that we can offer the correct outlet. It is also helpful to know what the system is connecting to. For example, if you are connecting your new trench drain system to pipes, it is helpful to know how big they are and what material they are made of. Then you can receive the proper guidance to join the two systems. How long of a run do you need? A run is the total continuous length needed in a section. 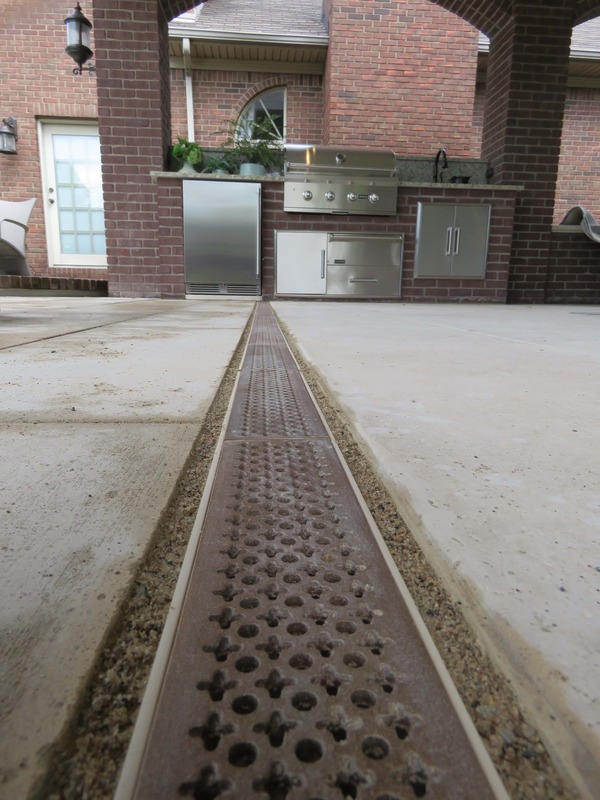 In some projects, you may have more than one area that you need trench drain, meaning more than one run is needed. This information ensures that you receive the correct amount of attachments such as end caps, install chairs, couplers and outlets. In some cases, adapters may be needed to go from pipes to the trench drain or vice versa. Trench Drain Systems offers systems as kits that include everything you will need for your project up to certain lengths in our online store at drainagekits.com. If you have a larger project or can’t find what you are looking for online, give us a call and one of our experts will provide you with assistance. Call today to request a quote – 610-638-1221 or click on the button below.